How To Prevent Blood Diseases? In the past, people saw some cases of blood disease and death from life or on television. They believed that blood disease is a terrible disease and is incurable. However, with the improvement of the quality of life and the development of science and technology, after the unremitting efforts and meticulous research by medical experts, blood disease treatment has made great breakthroughs. But people should still increase knowledge about blood diseases, early detection, early diagnosis, and timely treatment. Hematological diseases refer to abnormalities in the quantity or quality of various blood cells in blood, hematopoietic tissues (bone marrow, liver, spleen, lymph nodes, etc. ), as well as abnormalities caused by abnormal blood coagulation substances and anticoagulant substances. Blood diseases often have some common clinical manifestations, generally three major symptoms of anemia, hemorrhage and fever. Specific manifestations of skin mucous membrane pale, dizziness, fatigue, fatigue, tinnitus, short heartbeat and anorexia, nausea and so on. Bleeding manifestations such as nosebleeds, bleeding gums, skin spots of different sizes of purple spots, bleeding points, etc. ; In addition, easy infection, fever, liver and spleen and lymphadenopathy are common manifestations of blood diseases. Because blood diseases have no characteristic manifestations, various tests such as blood and bone marrow examinations, lymph node biopsy, etc. must be performed to confirm the diagnosis. Anemia is a symptom of blood disease, not a disease diagnosis name, and all causes of anemia can be followed. The main performances are: dizziness, fatigue, poor appetite, palpitation, asthma, etc. Under normal circumstances, everyone will encounter these symptoms, always go to the hospital's gastroenterology, cardiology clinic. However, there are many causes of anemia. For example, iron deficiency anemia ranks first in the world, mostly due to uneven diet and nutrition, and is caused by partial eclipse. This is a relatively common situation. Second, because the digestion and absorption function of the stomach is not Well, the nutrients that are extracted are not well absorbed, leading to anemia; the third is a kind of women who are more prone to occur, menstruation is not normal, menstrual volume is more, blood loss is more, causing chronic hemorrhagic anemia; hookworm is parasitic in the small intestine Common parasites, hookworm disease also often cause iron deficiency anemia. Therefore, while going to the hospital for gastroenterology and cardiology, you should also go to the Department of Hematology to do a corresponding examination to determine whether it is caused by a blood disease, to find out the cause, so as not to miss the best treatment opportunity. Daji is a China supplier of Leukodepletion Blood Filter. We have a high-tech work shop. We have a complete quality management system. 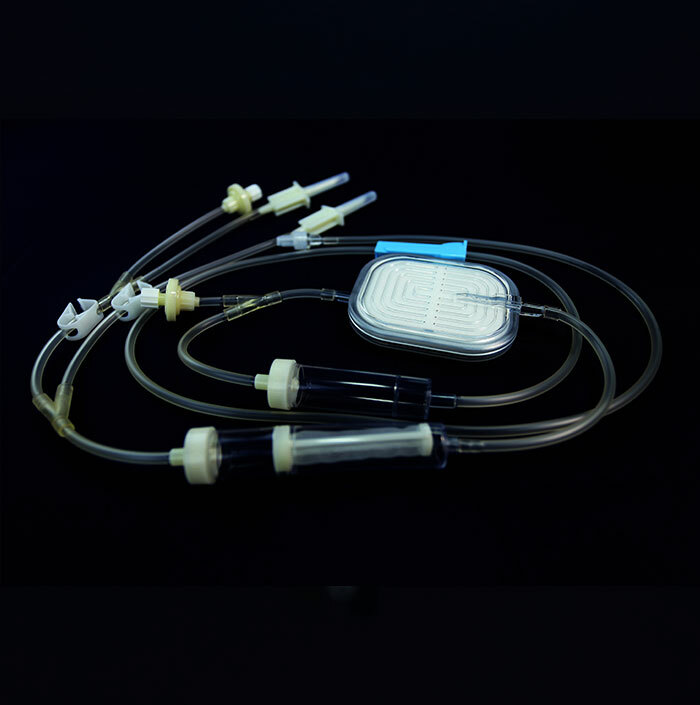 Choose Leukocyte Reduction Filter Manufacturer, you can be get most careful and thoughtful service!